New technology could provide innovative solution for EV charging stations in urban regions. Called Light & Charge, BMW’s Mini unveiled this high-efficiency street lighting system, which also functions as a charging station for electric vehicles (EVs). The famous car manufacturer demonstrated its new technology for electric cars at its factory in Oxford (Plant Oxford) as part of Low Carbon Oxford week, which was also the first time it was demonstrated in the UK. 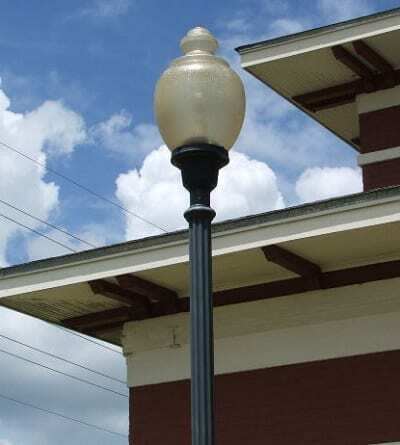 The system utilizes the latest advances in energy efficient LED street lighting. The Daily Express reported that the street light, which would be part of the innovative Light & Charge system, uses a modular LED design. This not only provides greater energy efficiency, but the lights are brighter than traditional street lights. Furthermore, it can be installed anywhere and can be modified to accommodate different locations. What this means, for instance, is that as many as four LED modules can be utilized to supply sufficient lighting on main roads at night and only one or two modules will be required to light residential areas and side streets. Additionally, another way in which this street light technology saves on energy is it has the ability to adjust to its environment and can decrease light output when streets are empty at night. While saving energy, the lights will double as a cost-effective charging station for electric vehicles. The street lights could be integrated at any location where street lights already exist or where they can be installed and where parking is available. The integrated charge point will help cities to considerably lower their energy consumption. The system will also provide a cheaper and simple solution that can be grafted directly on to the current local authority street lighting system, which will rapidly boost the number of readily available public charging stations. The stations can be added wherever suitable parking is possible. The charging cable for eclectic cars connects to the street light with a standard charging cable. Regardless of the EV they own, drivers can activate the Light & Charge systems charging unit and charge their vehicle with a simple swipe of a card. “Light & Charge is a simple and innovative solution which aims to integrate a charging station network into the urban landscape and this is essential if we want to see more electric vehicles on the road in our cities in the future,” commented Frank Bachmann, managing director of Plant Oxford.